This is a summer repeat from 2011. The most innocent remarks often hide profound truths. One of the regular commenters of Barataria recently confessed that trying to make sense of the world was a “major hobby” – a statement similar to what many of you have said over the years. Barataria itself is a hobby dedicated to the same basic principle – the world we live in takes some effort to make sense of. Unsaid is the implication that the professionals that are supposed to be helping us in the process aren’t all that helpful. As hobbies go, it might seem a bit strange. Yet it’s easy to argue the flip side, namely that this should be the duty of every citizen of a Democratic Republic. Certainly, there was a time not all that long ago when everyone who hoped to be called a Gentleman spent a lot of time connecting with people and connecting the dots of their world. What is the role of hobbyists in an integrated world once defined by experts who may be falling down horribly? The new world beyond this Depression might well be defined by hobbyists like us. That’s where it gets interesting. 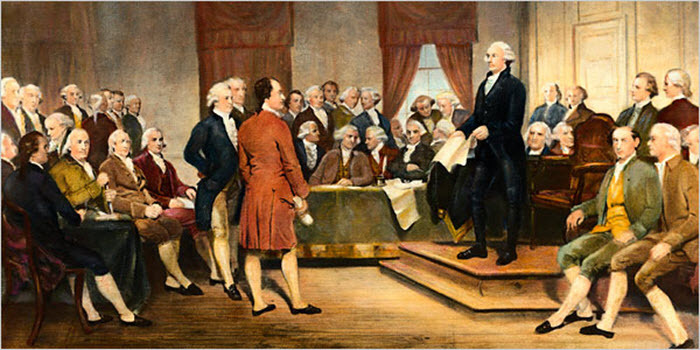 The only reason we can talk about the Founding Fathers as a group is they got over their petty differences. Hobbyists taking over from professionals is hardly a new concept in history. The US was founded on a very similar idea in the first place, if nothing else. A more interesting example of hobbyists redefining their world is “The Five”, who came together in 1856 for the purpose of creating a new Russian music. Only one of them had formal training and they all had day jobs – Modest Mussorgsky was a lawyer, Nikolai Rimsky-Korsakov was a Naval officer (who wrote onboard his ship), Aleksander Borodin a Chemist, and César Cui an Army officer – all joined together by Mily Balakirev, a conductor. They worked together to replace the bits and pieces borrowed from the rest of Europe and create something new with a strong, uniquely Russian identity. Hopefully you recognize some of the names, particularly Mussorgsky who became famous for “Pictures at an Exhibition” and “Night on Bald Mountain”. You will find much of their music running in the background of nearly any documentary on Russia because to the world The Five defined Russia. 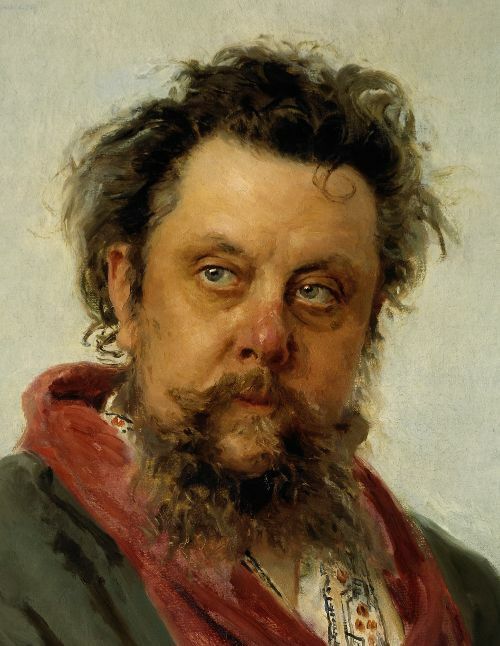 Modest Mussorgsky. He looks like a lot of fun to hang with. The Five make a good example of hobbyists taking over the scene because in a certain sense what they produced was not particularly Russian. They lacked the free time and training to go out and catalog genuine folk music from the people themselves. Their work came primarily from within, a gut instinct that resonated outward. Today’s blogging world is not substantially different as hobbyists work to understand – and possibly redefine – the world we live in today. Modern music as we know it in the US is full of people with little or no training, other than their own relentless drive and passion, so the example of hobbyist musicians may not come as any surprise. Rap, as an art form, was also crafted entirely by people who put it together as they went. What is different about The Five is that they were the first to do this and they very deliberately intended to define not just their art but their nation in the process. Ambition, as much as art or a great scene, made it happen. The field of writing is often infused by hobbyists as well, but rarely has there been such an organized effort. I have described the state of writing (and culture) today as “Waiting for Steinbeck”, which is to say that we’re looking for someone who can chronicle what is really happening away from the bright lights of teevee and celebrity. That movement will probably come from hobbyists when it comes. Your guess is as good as mine as to when it will happen, but I believe that it must. You don’t have to look further than the number of movies that are remakes of cartoons to realize that our creative juices desperately need to be refreshed. 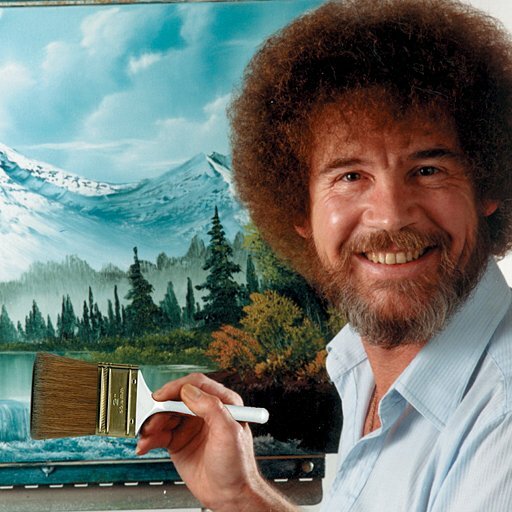 Bob Ross, who taught millions to just get painting. Why not? Away from art forms, however, the idea of hobbyists becomes a bit trickier. Is simply understanding the world really a hobby? If it takes up a lot of time and becomes a passion on its own it certainly qualifies. Many of you have used the term “hobby” to describe what you do, implying a certain craftsmanship in this interactive world. You do more than read, you comment and contribute and work things out with other people. Will this ultimately define a new world, as our Founding Fathers or The Five set out to do? I think it might have to. Which is to say that we might need to organize ourselves a bit better and be more deliberate in how we approach our shared hobby. What might that mean to you? This entry was posted in People & Culture and tagged hobbyists. Bookmark the permalink.